To the layperson, genetics can seem like a foreign language. Phylogenetic trees look somewhat like schematics for electronic circuit boards. I can read neither. However, if one can manage to decipher the academic literature, certain clues about population migration become apparent. One Hopi legend describes a migration from Mu at the end of the flooded Third World (world-age, or era) into the current Fourth World. (Many Hopi spiritual elders say we are now at the very end of the Fourth World.) The continent of Mu once reputedly measured 5,000 miles in length from east to west and 3,000 miles in width from north to south. Its northern boundary was the Hawaiian Islands; its southern boundary was a line roughly between Easter Island and Fiji. Mu supposedly possessed an enlightened and highly civilized society with a population of sixty-four million. Until about 12,000 years ago it functioned as the world’s center for education, trade, and commerce. At that time cataclysmic earthquakes, tsunamis, and volcanoes destroyed this great continent, leaving only the remnants of those archipelagos we see today—or so goes the myth. The ancestral Hopi apparently escaped on reed rafts and sailed eastward across the Pacific to make their way to the mouth of the Colorado River. They poled upriver into Grand Canyon, where they emerged in order to seek their final destination upon the Colorado Plateau. How did these inveterate high desert farmers come up with such seemingly wild tales of trans-oceanic migration? An answer might be found in their blood. Johanson stated that 1 in 669 people of Tuvalu have albinism. However, the Hopi and other Southwestern tribes have substantially higher rates of the disorder. Studies done by Charles M. Woolf in 1962 and 1964 found the following: Hopi, 1 in 227; Zuni, 1 in 247; San Juan, 1 in 500. An earlier study of the Hopi done in 1900 had obtained an even higher rate: 1 in 182. Woolf found the highest rate of all was among the Jemez: 1 in 140. The Navajo, on the other hand, showed a relatively decreased rate of 1 in 3,750.6 Still, all of these figures are very much higher than the European rate for albinism: 1 in 20,000.7 The Navajo statistic is probably the result of interbreeding with the Puebloans. There appears to be a genetic link between the Hopi and the Kuna. 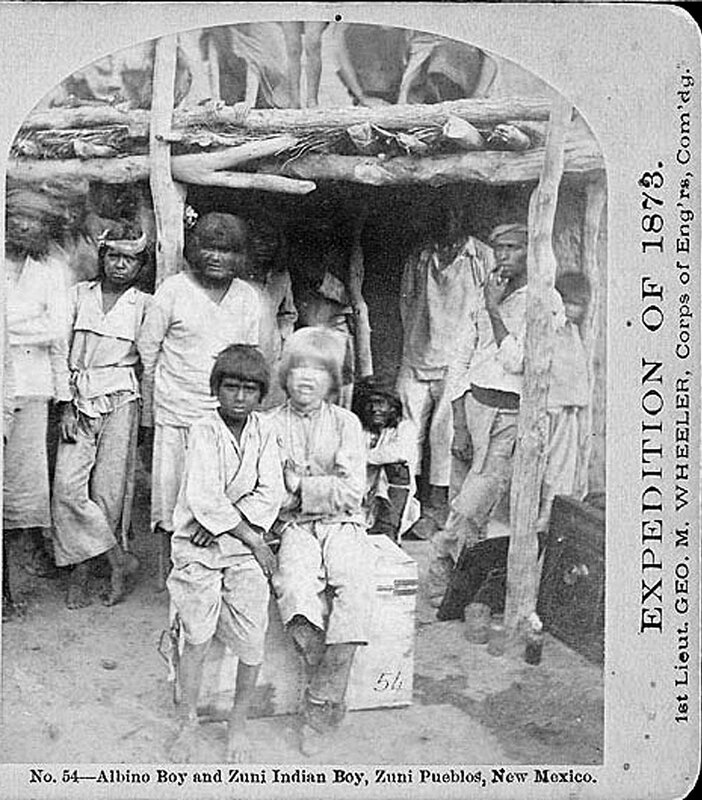 Sheldon C. Reed writes in The Journal of Heredity: “Some thousands of years ago, though not long in terms of generations, all these Indians probably had some ancestors in common and it is quite possible that one of these ‘Founding Fathers’ was a carrier of the gene for albinism.”11 The Kuna word sipu means “albino,” whereas the Hopi word sipyuk means “metalwork, especially silver.”12 Silver is, of course, a whitish metal. One quintessential question remains: Is there a physical mechanism between these three geographic pockets of albinism—the Tuvalu Islands, Panama, and the American Southwest—that would link them and thus allow for migration? Except for statements such as the Patki Clan (Water, or Houseboat Clan) members once had white skin, the modern Puebloans seem to have forgotten in the long intervening period the origin of their high levels of albinism. Some attribute the condition to the fact that the mother may have had sexual relations with a white man.15 Others claim ceremonial faux pas. “Albinism is said by Hopi to be caused by making white prayer-sticks during a wife’s pregnancy.”16 Regardless of its actual cause, albinism is in fact pervasive in three main regions: Oceania, Panama, and the American Southwest. 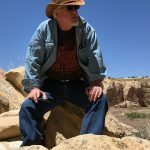 In the American Southwest, haplogroup B unequivocally predominates, with a maximum frequency of 89% found at Jemez Pueblo in New Mexico, which, as we recall, also had the highest level of albinism.19 On the other hand, in eastern Siberia, haplogroup B is—curiously and conspicuously—absent. In this area where, so to speak, tons of B should be present, we instead find only haplogroups A, C, and D.20 After all, this was supposedly the staging point for trans-Beringia migration. One explanation is that haplogroup B once existed in eastern Siberia but for some reason became extinct; this, however, seems unlikely. Geneticist Stephen Oppenheimer discusses a key Asian deletion in the mtDNA called the nine-base pair (9-bp) deletion. The particular segment of the gene where the 9-bp deletion occurs is designated as region V. “The region V deletion has been observed mainly in individuals from East Asian populations or populations that are derived from East Asia, such as Native Americans. The frequency of deletion in Asia varies from 100% in some Polynesian groups (Samoans, Maoris, and Niuean) to 0% among Highland New Guinea and Australian Aborigine groups. The region V deletion is absent in modern northeastern Siberian populations… [italics added]” This study indicates that the rate for the base pair deletion among speakers of Uto-Aztecan (e.g., Hopi), Zuni, Tanoan (viz., Tewa, Tiwa, and Towa—the latter from the aforementioned Jemez Pueblo) is 46.5%—the highest in North America.24 Again, the Siberian-Alaskan land bridge shows signs of crumbling, at least as the sole means of access to the New World. The geographic distribution of human genetic material is designated by a number of other specific markers, one of which is called human lymphocyte antigens (HLAs). These alleles are basically proteins on white blood cells that produce antibodies. An allele is an alternative form of a gene —one member of a pair—that is located at a specific position on a specific chromosome. The distribution of HLAs differs among world populations and may thus be used in tracing ancient migrations. According to physical anthropologist James L. Guthrie, a number of different HLAs occur in populations where one wouldn’t expect them to be. The mechanism for gene flow is known by the phrase cultural diffusionism. Put simply, this theory proposes that ancient people got around on foot or by boat a lot more than commonly assumed—around the world, in fact. This theory posits that a free flow of trade goods and cultural motifs existed globally, perhaps as early as the Neolithic period. During the 20th century, anthropologists and archaeologists, many of them tenured or supported by universities, had suggested that the diffusionist theory, which prevailed in the last part of the previous century, was inherently racist. The theory, they said, implies that Caucasians had bestowed the benefits of civilization on the “darker” races in order to bring them toward the light. Proposing an alternative isolationist theory, this Columbus-was-first crowd described a scenario of scattered, provincial tribes of Native Americans going it alone the best way they could on a sparsely populated continent. In our current age when racial equality is at least an ideal, the notion of a group of white, patriarchal benefactors influencing the “benighted” aboriginal cultures is repugnant and retrograde—if it were in fact true. But in some ways the isolationist theory is the racist one because it assumes that the native peoples of North and South America were not intelligent or skilled enough to accomplish long distance travel by land or sea—other than the initial trudge from Siberia to Alaska and Canada via the Bering Straits’ “land bridge.” The genetic evidence cited above clearly suggests that this is not the case. 1. Helene C. Johanson, “Inheritance of a novel mutated allele of the OCA2 gene associated with high incidence of oculocutaneous albinism in a Polynesian community,” Journal of Human Genetics, Vol. 55, 2010, pp. 103-111, www.nature.com/jhg/journal/v55/n2/abs/jhg2009130a.html. 2. Helene C. Johanson, Pacific Islands Stories: Pacific Albinism Project, February 26, 2012, http://blog.spevi.net/2012/02/pacific-islands-stories-pacific.html. 3. Oliver Sacks, The Island of the Colorblind (New York: Alfred A. Knopf, 1997). 4. Sacks, The Island of the Colorblind, ibid., pp. 53-54. 5. Ekkehart Malotki, editor, Hopi Dictionary: A Hopi-English Dictionary of the Third Mesa Dialect (Tucson, Arizona: The University of Arizona Press, 1998), p. 232, p. 234. 6. Charles M. Woolf, “Albinism Among Indians in Arizona and New Mexico,” American Journal of Human Genetics, Vol. 17, No. 1, January, 1965, p. 24, p. 23. 7. Charles M. Woolf and Robert B. Grant, “Albinism Among the Hopi in Arizona,” presented at a meeting of the American Society of Human Genetics, Corvalis, Oregon, August 31, 1962, p. 391. 8. Mischa Titiev, Old Oraibi: A Study of the Hopi Indians of Third Mesa (Albuquerque, New Mexico: University of New Mexico Press, 1992, reprint 1944), p. 72. A katsina (also spelled katcina or kachina) is a Hopi spirit-messenger. 9. Woolf and Grant, “Albinism Among the Hopi in Arizona,” op. cit., p. 391. 10. Mike Powers, “Panama’s Indian albinos a revered elite,” Isla Tigre, Panama, Reuters; Albert Yava, Big Snow Falling: A Tewa-Hopi Indian’s Life and Times and the History and Traditions of His People (Albuquerque: University of New Mexico Press, 1982, 1978. ), p. 62. 11. Sheldon C. Reed, “Speculations About Human Albinism,” Journal of Heredity, Vol. 56, No. 2, 1965, p. 64. 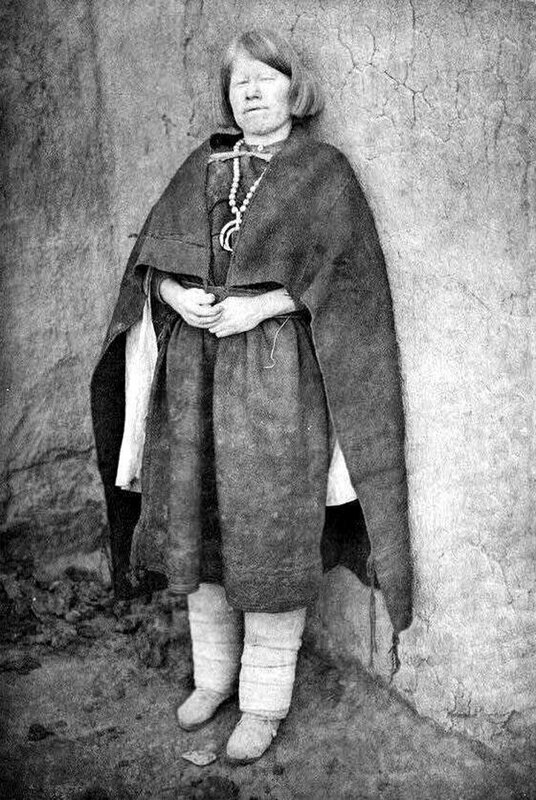 12. http://en.wikipedia.org/wiki/Kuna_people; Malotki, Hopi Dictionary, op. cit, p. 506. 13. Giorgio de Santillana and Hertha von Deschend, Hamlet’s Mill: An Essay Investigating the Origins of Human Knowledge and Its Transmission Through Myth (Boston: David R. Godine, Publisher, Inc., 1998, 1969), p. 213. 14. Malotki, Hopi Dictionary, op. cit., p. 382, p. 728. 15. Woolf, “Albinism Among Indians…,” op. cit., p. 29. 16. Elsie Worthington Clews Parsons, Pueblo Indian Religion, Vol. 1, (Lincoln: University of Nebraska Press, 1996), pp. 90-91. 17. Per Hage, “Was Proto-Oceanic Society Matrilineal?”, The Journal of the Polynesian Society, Vol. 107, No. 4, December 1998, p. 365, www.jstor.org/discover/10.2307/20706828?uid=3739256&uid=2129&uid=2&uid=70&uid=4&sid=21100950077193; Titiev, Old Oraibi, op. cit., p. 7. 18. Malhi RS, Mortensen HM, Eshleman JA, Kemp BM, Lorenz JG, Kaestle FA, Johnson JR, Gorodezky C, Smith DG, “Native American mtDNA Prehistory in the American Southwest,” American Journal of Physical Anthropology, Vol. 120, No. 2, p. 111, p. 119. 19. Malhi et al., “Native American mtDNA Prehistory…,” ibid., p. 112. 20. Jason A. Eschleman, Ripan S. Malhi, and David Glenn Smith, “Mitochondrial DNA Studies of Native Americans: Conceptions and Misconceptions of the Population Prehistory of the Americas,” Evolutionary Anthropology, Vol. 12, 2003, p. 9. 21. Malhi et al., “Native American mtDNA Prehistory…,” op. cit., p. 119. 23. Stephen Oppenheimer, Eden In the East: The Drowned Continent of Southeast Asia (London: Weidenfeld and Nicolson/The Orion Publishing Group Ltd, 1998), p. 197. 24. Joseph G. Lorentz, and David G. Smith, “Distribution of the 9-bp mitochondrial DNA region V deletion among North American Indians, “ Human Biology, Vol. 66, No. 5, October 1994. 25. James L. Guthrie, “Human Lymphocyte Antigens: Apparent Afro-Asiatic, Southern Asian, & European HLAs in Indigenous American Populations,” Pre-Columbiana: A Journal of Long-Distance Contacts, Vol. 2, No. 2 & 3, December 2000/June 2001, pp. 90-91, www.neara.org/Guthrie/lymphocyteantigens01.htm. 26. Guthrie, “Human Lymphocyte Antigens…,”ibid., p. 119. 27. Behe Fahey, “The Asiatic Neolithic, the Southern Mongoloid Dispersal, and Their Possible Significance for the Americas,” Pre-Columbiana: A Journal of Long-Distance Contacts, Vol. 2, No. 2 & 3, December 2000/June 2001, p. 181. 28. Guthrie, “Human Lymphocyte Antigens….”, op. cit., p. 129. Almost certainly there was never a vast Pacific continent that sank. There is no geologic evidence for it, and continents are made of lighter granitic rocks that “float” on the denser basalt of the lower crust and the olivine of the mantle. However, when sea levels rose suddenly at the end of the last ice age, vast areas of coastal South Asia were flooded, and are now shallow seas. Mr. David’s genetic evidence is massive and persuasive. Early peoples were probably accomplished sea farers and the Americas were settled mainly by people who crossed the oceans, from NE Asia and SE Asia, and probably some from Europe and possibly Africa. Even conventional researchers admit that basically stone-age people settled the Pacific islands, making long and dangerous ocean voyages to do so. Very fine article, Mr. David. It sure convinces me of the real possibility of a genetic tie between the Hopi and Polynesians. I look forward to the widespread release of the underwater photographic evidence for Mu and Atlantis. The bits that I have seen here and there certainly convince me that they were real. You say that “Mu supposedly possessed an enlightened and highly civilized society with a population of sixty-four million. 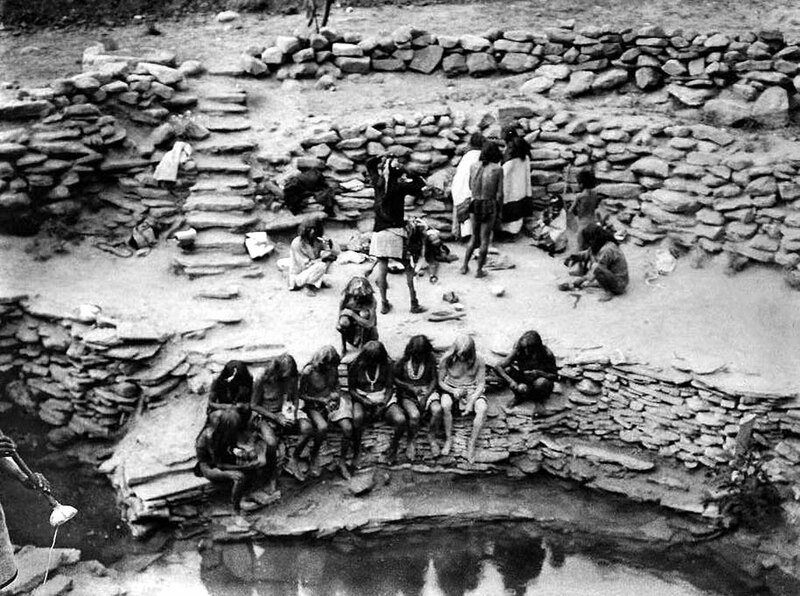 Until about 12,000 years ago it functioned as the world’s center for education, trade, and commerce,” yet the ancestors of the Hopi escaped by using “reed rafts.” Those two statements seem incongruous – doesn’t compute.